The Pennsylvania Wilds is a game hunter’s paradise and an angler's perfect retreat. The region has nearly 2,100 designated trout streams, 16,000 miles of sparkling waterways, and 2 million acres of public land open for hunting at various times of the year. With dense forestland and a multitude of waterways, the ecosystem is home to a variety of wildlife. The region boasts more than 2 million acres of public land: state game lands, parks and forests, and portions of the Allegheny National Forest that are open for hunting at different times throughout the year. Hunting plays a key role in helping manage our sustainable forests. The largest elk herd in the eastern US and white-tailed deer roam the forest in the Pennsylvania Wilds, as well as black bear, turkey, waterfowl, grouse, pheasant and other small game. For anglers, the PA Wilds has more than 16,000 waterways, including two federally designated Wild and Scenic Rivers - the Clarion and Allegheny Rivers. We're also home to two additional distinct water trails - the West Branch Susquehanna River Trail and Pine Creek - where you can cast your fly or sink your lure. In addition to a large supply of native and stocked trout, our lakes, rivers, waterways and streams are also filled with small and largemouth bass, pike, walleye, and some of the most popular panfish species among others. Some of the best anglers in the world travel to the PA Wilds to fish! In fact, the Allegheny Reservoir has hosted many national walleye fishing tournaments. 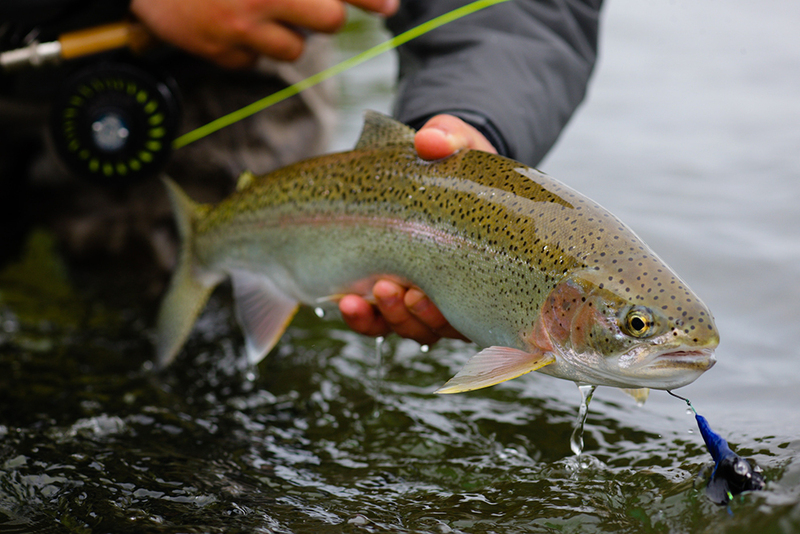 The region is home to dozens of outfitters who can assist with fishing licenses and supplies. Imagine dropping your line into a mountain stream surrounded by wilderness, yet close enough to convenient town services. Visit Pennsylvania Fish & Boat Commission website for more information on licenses, stocking schedules, rules and regulations, and more, and explore the interactive Keystone Select Stocked Trout Waters map. Download the PA Wilds Fishing Guide. Find some of the finest warm water fishing in the Allegheny National Forest. Several reservoirs and over 500 miles of pristine streams offer outstanding fishing opportunities. The Allegheny reservoir (a 12,000 acre impoundment on the Allegheny River) is the largest reservoir on the Forest. Explore an interactive map of hunting locations in Pennsylvania’s State Forests in the Pennsylvania Wilds. Research hunting in the Allegheny National Forest – including big and small game hunting, and game bird / waterfowl.